We already knew when we’d be able to play the last episode of The Walking Dead: The Final Season, as its release date was confirmed by Skybound Entertainment. It was somewhat of a momentous occasion, as there was a time when we didn’t think we’d get to see the conclusion of this season after the Telltale layoffs last year. But now, that happy news has been joined by an announcement of the physical version of the entire season, which usually comes around after all episodes have released. It will be out on March 26, 2019, the same day the last episode will be released. If you were needing more Walking Dead in your life and were left disappointed by Overkill’s The Walking Dead, the Skybound series should scratch that itch for you. It’s even more intriguing when you consider the fascinating development story behind it. Telltale closed down, leaving developers with no where to go. Skybound picked up the pieces, even bringing some members of the team back, and now we have the game. 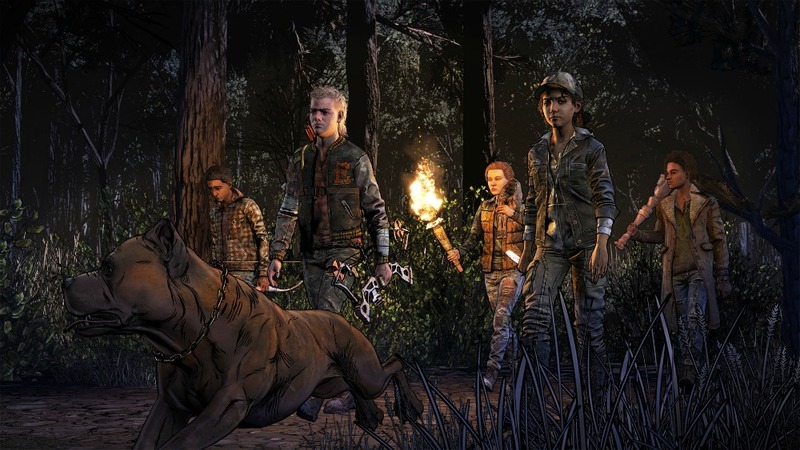 Despite the shift to digital, Telltale-style games usually benefit from a retail release, appealing to a wider range of players who may not have been in the loop as the episodes were releasing, digitally. Since this is literally called The Final Season, it’s unclear whether we’ll see another game in this style again. After what happened with Telltale, something was clearly wrong with the finances, leading many to believe that this style of game is just not as fruitful as it once was. Perhaps there is a way for it to exist again under different circumstances that would still allow the developers and publishers to be profitable. Either way, that probably won’t be for a long time. So for now, you can enjoy the many seasons Telltale and Skybound have put together for us. Will you be playing The Walking Dead: The Final Season when it comes to retail? Have you already played the other episodes? Let us know!